Police arrested 42 people and confiscated drugs as well as nearly $12,000 during this past week's string of Phish concerts in Atlantic City, N.J. The Vermont-based jam band played a trio of shows at historic Boardwalk Hall last week from Thursday through Saturday. During the concerts, officials say the Atlantic City Police Department Special Investigations Section and other law enforcement groups conducted several surveillance and undercover operations in the area. As a result of the investigation, officials say they recovered Hashish, MDMA, psilocybin mushrooms, marijuana, marijuana cookies, marijuana brownies, LSD paper blotters, LSD sugar cubes, prescription pills, bath salts and 51 nitrous oxide (laughing gas) tanks. Police also say they seized $11,800 of proceeds from illegal drug distribution. Finally, police say 42 people were arrested. While 40 of those arrests were related to drug possession or distribution, officials also say two teenage girls, ages 18 and 19, from Brooklyn, N.Y., were arrested for alleged prostitution. 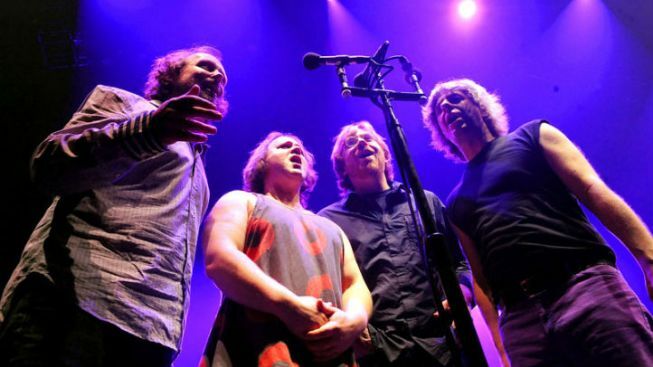 Several arrests were also made during the Phish concert in Atlantic City last year. During that concert, which took place at Bader Field, 36 people were arrested. Click on the "Documents" link on the left to view the full list of people charged and the specific charges against them. Phish, which formed in Burlington, Vt. in the 1980s, has grown a large following through concerts that feature long jams and light shows. But the show is as much about the scene as the music as fans flock to Shakedown Street -- an area of the parking lot where crafts, food and sometimes drugs are sold -- which springs up outside most venues. For the Boardwalk Hall shows, the boardwalk in front of the venue became crowded with fans in the hours leading up to the concerts. Click here for more news from around the Philadelphia region.